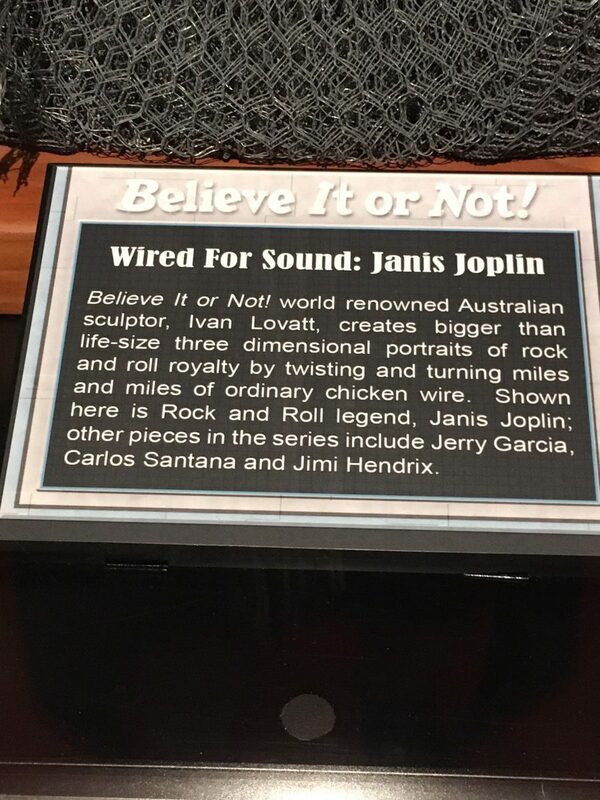 Exhibit at Ripley’s Believe It or Not! 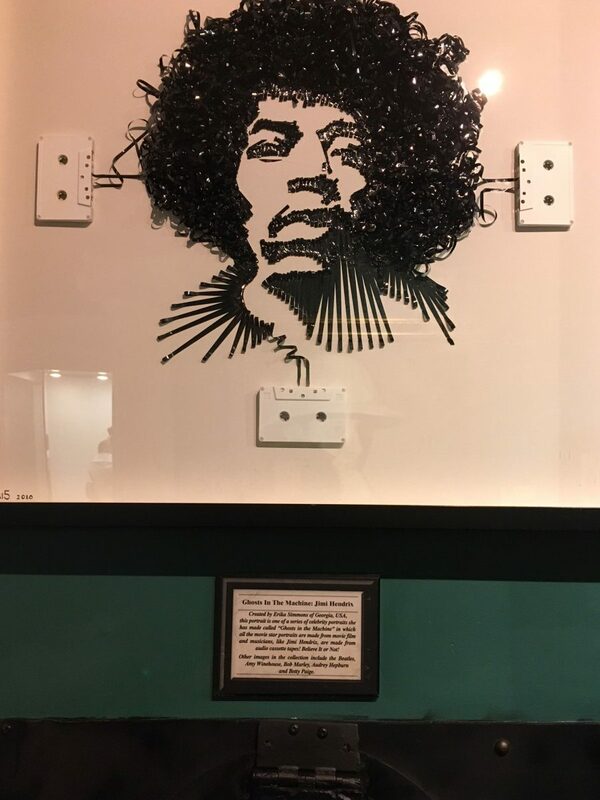 Museum in San Francisco, California on November 25, 2016. 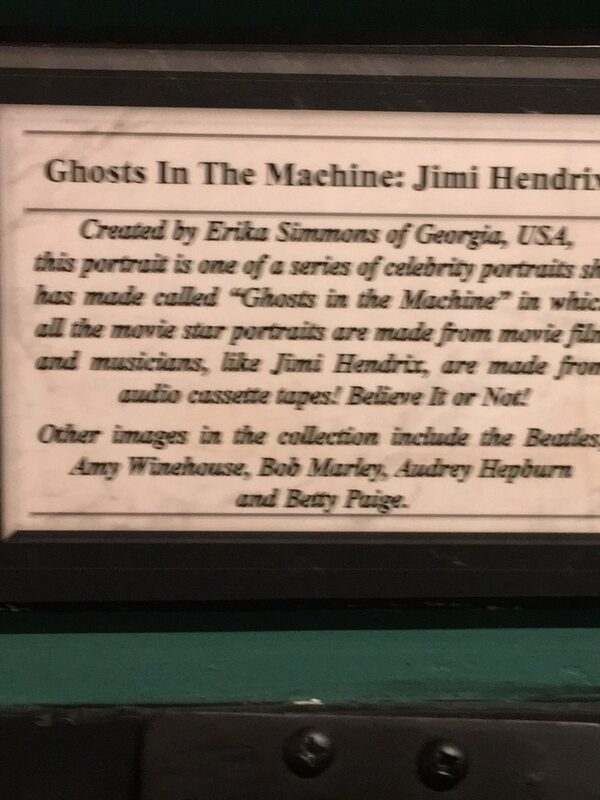 A special exhibit commemorating two rock icons called, “Ghosts In The Machine “, of the 60’s Hippie Scene in San Francisco, California of Jimi Hendrix and Janis Joplin who played The Fillmore in San Francisco, California and Woodstock in Upstate New York. 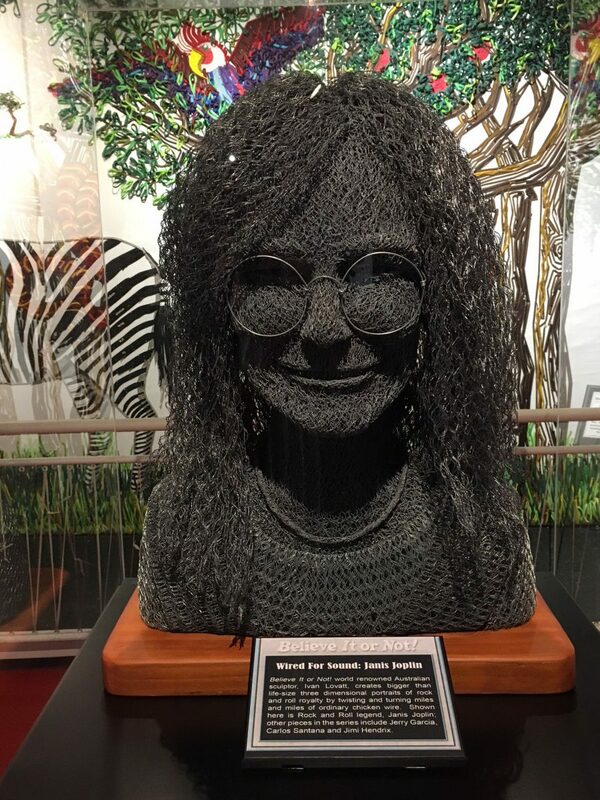 The likeness of Jimi Hendrix is preserved lovingly in audio cassette tape from the case itself by Erika Simmons of the state of Georgia and the bust of Janis Joplin is sculpted from chicken wire by Australian sculptor, Ivan Lovatt. Groovy, baby! Amy Winehouse in the Ripley’s Believe It or Not! 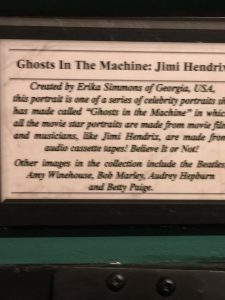 exhibit, “Ghosts In The Machine”, also has her likeness preserved in audio cassette tape and the original case is enclosed with the exhibit by Erika Simmons. 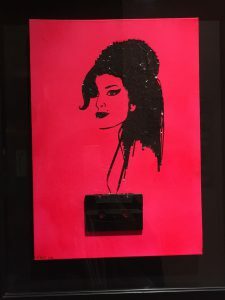 Ms. Winehouse was the first English female artist to win five Grammy Awards (2008) in a single night including three of the General Field “Big Four” Grammy Awards of Best New Artist, Record of the Year and Song of the Year. 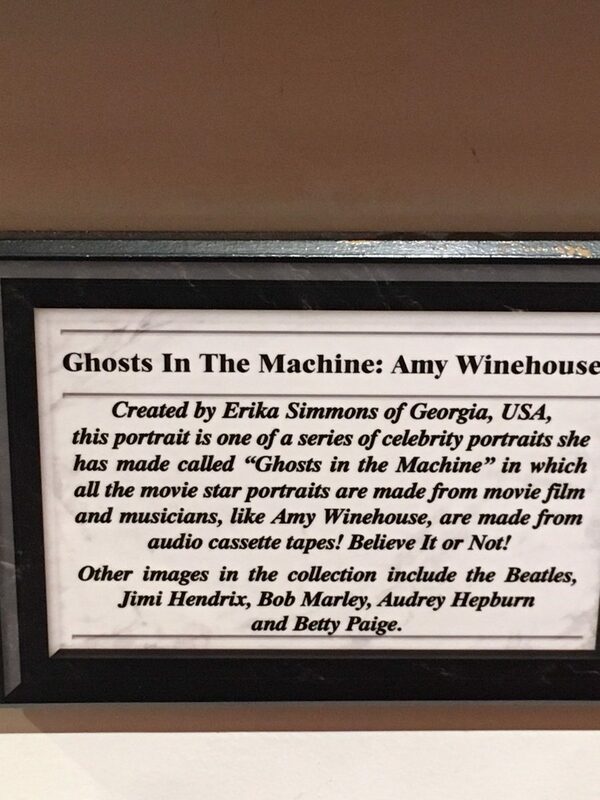 Amy Winehouse, Jimi Hendrix and Janis Joplin all died at the age of 27 of tragic circumstances. 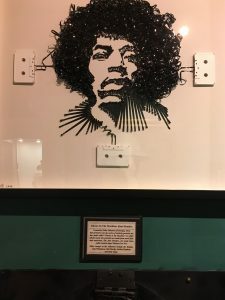 This entry was posted in Uncategorized on December 19, 2017 by Celeste Palmer. 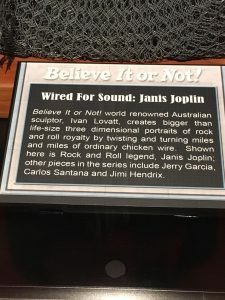 In testing I’ve found that the results are mixed. So, these clicks can be votes.